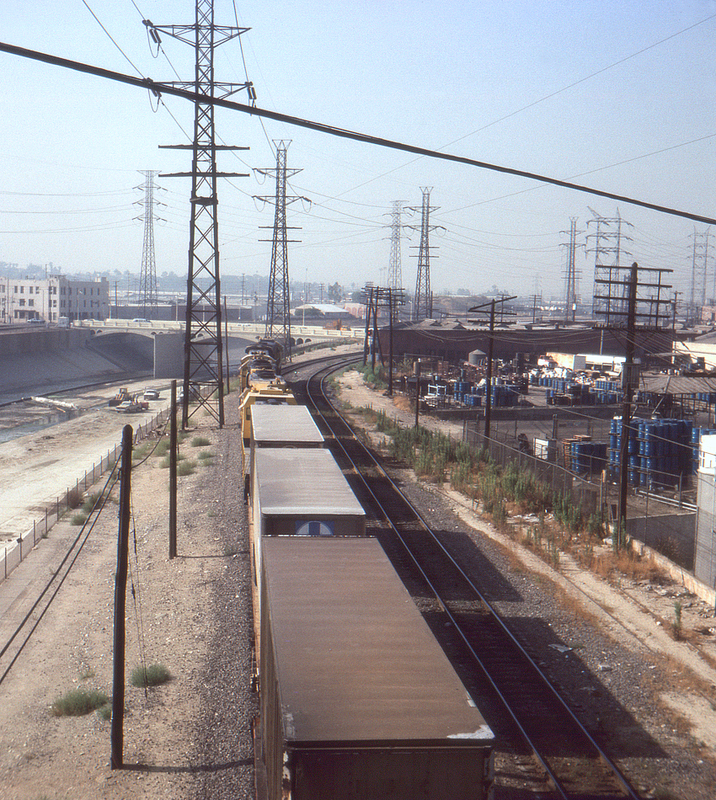 This Santa Fe freight is heading south along the Los Angeles River towards Mission Junction, having just left Broadway interlocking. In the distance is the Main Street bridge. This view is looking south from the Spring Street bridge.